Recently Google announced its new tablet and Google I/O 2012. Milliseconds after it was announced XDA Elite Recognized Developer AdamOutler had his ordered. When he received it, he did what you would expect from our resident mobile deconstructionist. 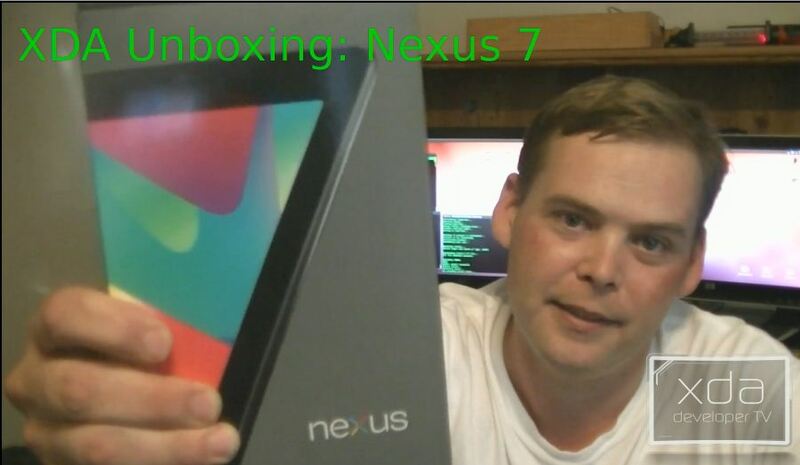 In this episode of Unboxing the XDA Way, Adam unboxes the Nexus 7 all the way down to the circuit board and talks about the build while doing so. Adam covers both the good and the bad design characteristics. Finally, like any XDA Forum Member would do, he unlocks the device and installs ClockworkMod recovery. This is a must watch video! Also, be sure to check out other great video’s on XDA Developer TV. Make sure to check out the Samsung Smart App Challenge 2012! As the resident token curmudgeon Senior Moderator of the XDA Forums, get off his lawn. Member of XDA since the Windows Mobile days Jimmy McGee heads up the YouTube channel for XDA dubbed XDA TV. Technology Geek by trade and security analyst by training, he has a lot to say about things found on the internet, some of which can be safely ignored.